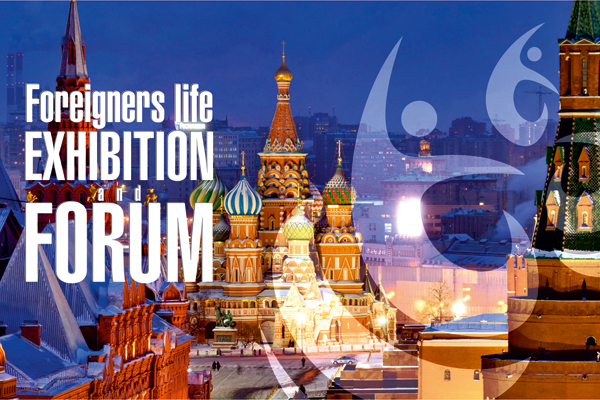 From 5 to 7 February at the World Trade Center an exhibition-forum ForeignersLife will be held for the first time. More than 130 companies providing a variety of goods and services will be happy to talk about their capabilities and help foreigners to get all the answers on how to live and work in Russia comfortably. Representatives of airlines, banks, visa centers, real estate agencies, security, as well as tax advisors are expecting the guests to tell about services, education and medicine, sports clubs, manufacturers and distributors of food products and various commodities. Highlighted topics of the exhibition are «Comfort and Care», «Leisure and recreation», «Migration support», «Education», «Finance and Law», «Other professional services». In parallel with the exhibition a forum, in which politicians, representatives of business elite of various Russian agencies will take part in conferences and debates on current topics and will answer questions about the life of foreigners in Russia, will be held. The event will be a great opportunity for all family members to spend time in an interesting and useful way: guests will be offered to participate in interactive workshops, master classes, tastings, there will also be a special animation program for children. For convenience in orientation and getting current information directly at the exhibition one can download a special application. Tickets to the exhibition can be bought on the web-site of the event. First 200 readers can register for free on the website using the code PR01.